7e IMCA & 5e PAWC 2006! 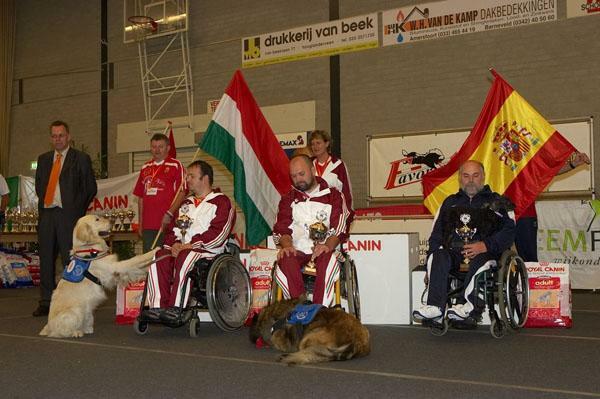 The 7e IMCA & 5e PAWC was organised from 31-08 until 03-09-2006 in Sports Hall Zielhorst in Amersfoort. 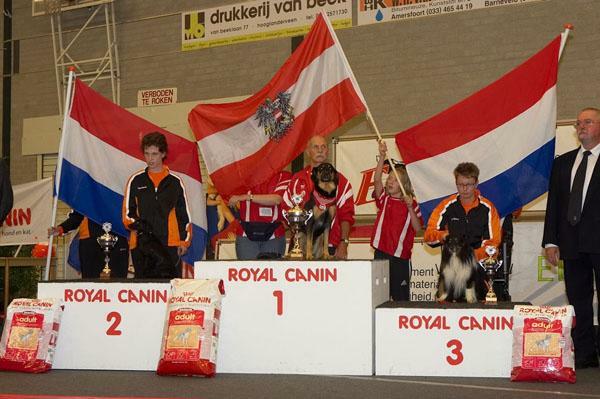 A very sportif agility Event for valid handlers ( IMCA) and handlers with a disability (PAWC). 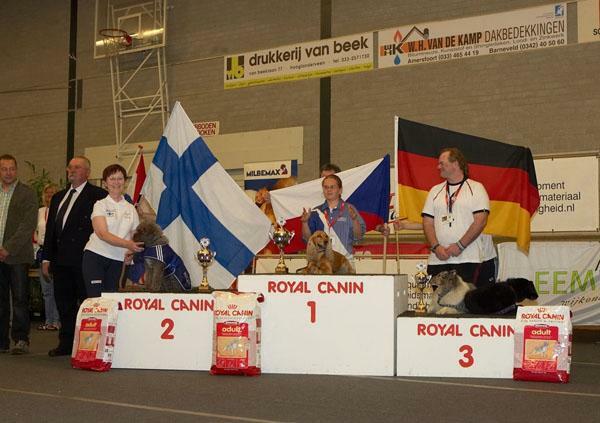 We are very proud, for the first time the Netherlands was the host for this Event! 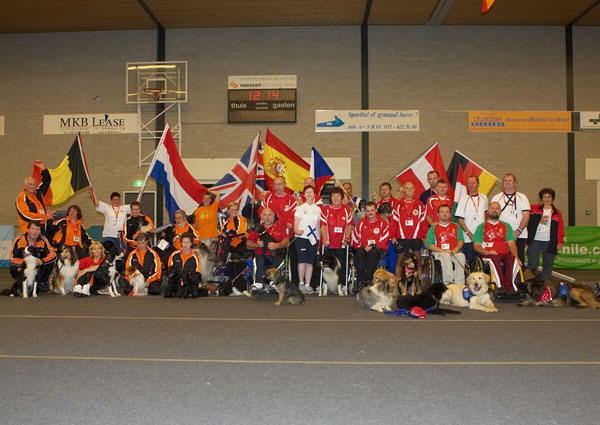 This year nearly 200 competitors and their coaches from 15 countries. New teams from Belgium, Ukraine and United Kingdom, also a competitor from japan! All other Teams came from Austria, Czech Republic, Finland, Germany, Hungary, Italy, Romenia, Slovenia, Spain, Switserland and of course a team from the Netherlands. This year altogether 29 competitors PAWC, a lot of competitors of preciding years, but also new faces! 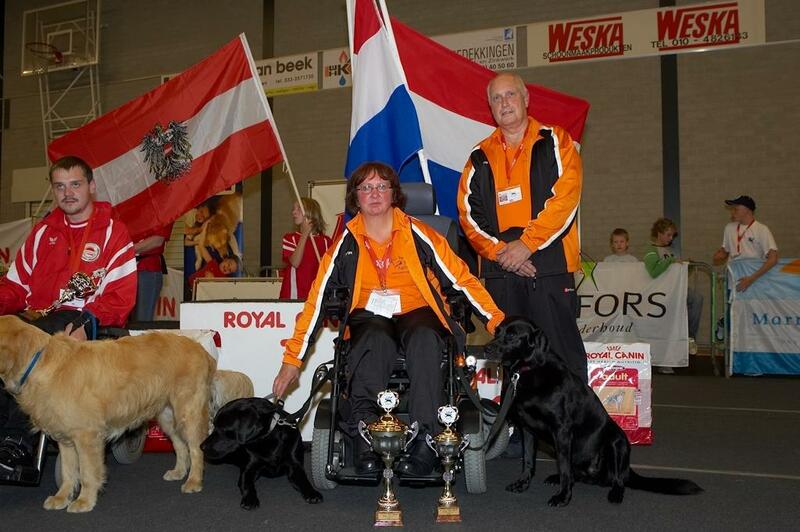 The number of handlers with a disability is growing, every year we can give a hearty welcome to new participants. More handlers with a disability have fun by practize agility! Switserland and Japan), next year we expect more entries! It's very good to see how all competitors PAWC on their own way walk ;-))....the courses with their dog and have a lot of fun, both of them! Also making contact with handlers just like you gives a great appreciation. Most of the handlers take part into agility-matches for valid handlers in their own country and that's not always easy! On the PAWC we all have a limitation.